What does your backseat look like right now? Ours is usually littered with crumbs, spilled milk, snack trash, and toys. I’ve discovered a way to at least fix a couple of those issues. A backseat car cover placed under the car seats! No more milk circles on the leather or unreachable goldfish that no matter which way you turn your arm you still can’t get! If the solution were as easy as just banning drinks and snacks in the car, that would make my day. But with toddlers that just isn’t possible. As life gets busier with activities outside of the home, it’s getting harder to plan around naps and meals, so inevitably, we have to grab and go sometimes. Our new heavy-duty, water proof backseat cover from VersaVia is the perfect solution. The covers help keep seats safe from stains, upholstery tears and leather scrapes. It’s super easy to install and features a nonslip backing and seat anchors. The material is durable and “life-proof.” It holds dirt and moisture without soaking in, which is great for us right now with the never ending rain we’re getting in Central Texas. The cover also has a fitted skirt that wraps all the way around the bottom and sides of the back seat. It fits most cars, SUVs, and small trucks, and is easy to clean with a damp cloth. 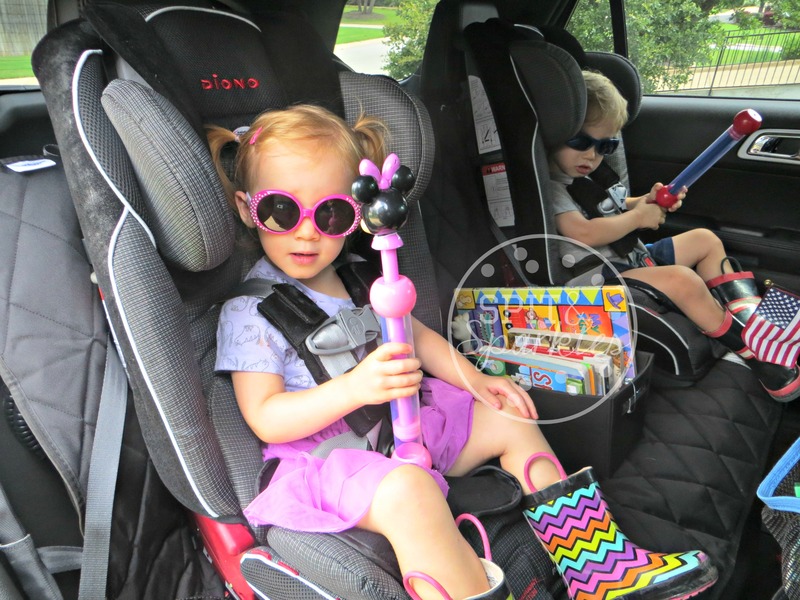 The seat cover vacuums easily without removing it from the car, and the entire thing can also be thrown in the washing machine for really big messes! VersaVia also offers a lifetime warranty. Check out their other seat covers for four-legged friends over at 4Knines! **Full disclosure: I was previously a compensated freelance writer for 4Knines, a company owned by the same folks who started VersaVia. I received the seat cover free of charge in exchange for a review, and no other compensation was given. I only post positive reviews and partner with companies that I believe in!